Tahune Airwalk is a big tourist attraction in Tasmania. It’s most notable for the trout I caught there! 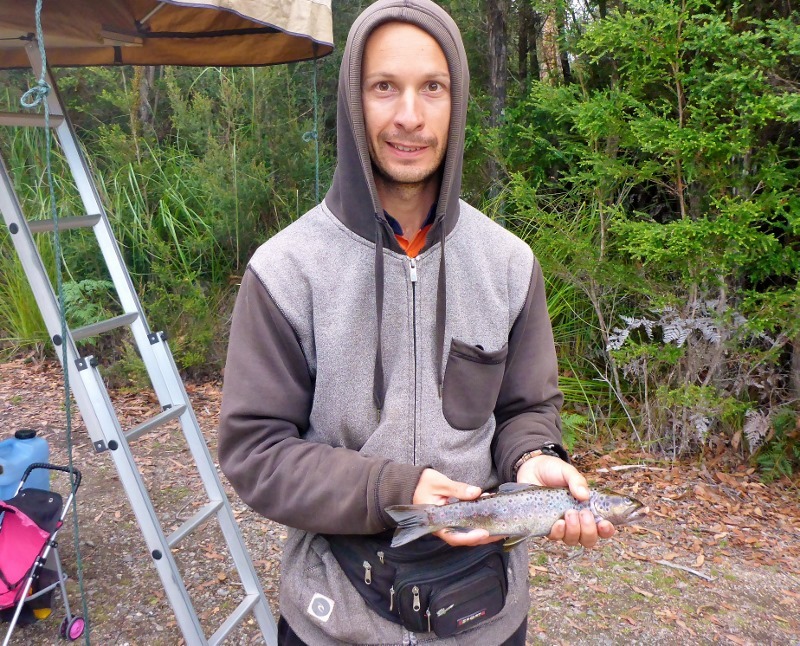 Watch out Tasmanian trout stocks, now that I’ve got my toes wet I’ll be bagging trouts in epic proportions. Apart from the trout at Tahune there’s also this elevated walking platform that provides some sweet views of the river valley and some exciting rope bridge crossings over the river. Haha are you mocking the size of my trout? 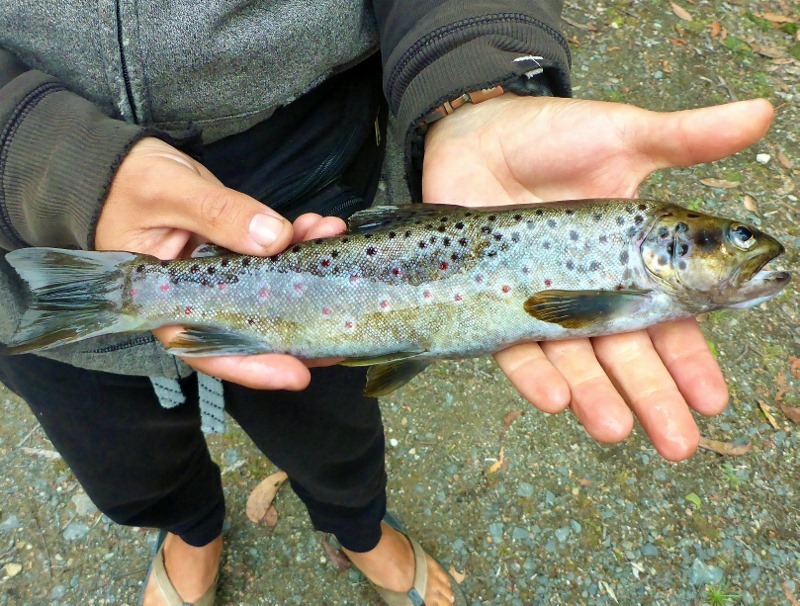 I’ll have you know that our camp neighbours said my trout was “above average”. But yes we did need some filler to make a meal of it.